A still shot of "A Struggle for Home: The Crimean Tatars"
When she set out to make a documentary on the Crimean Tatars’ centuries-long struggle for freedom in their homeland, Northwestern University in Qatar lecturer Christina Paschynalready had a compelling story to tell. Her film - A Struggle for Home: The Crimean Tatars - made its festival debut at the Al Jazeera International Documentary Film Festival in Doha, which continues a tradition of films produced by NU-Q faculty, students and alumni being screened at the Al Jazeera and Doha film festivals. Paschyn’s film traces the history of the Crimean Tatars from their time as an independent nation to their brutal deportation at the hands of the Soviets and the recent annexation of the region by Russia. The Muslim-Turkic minority group had already faced persecution and repression, first from the Russian Empire and then from the Soviet Union. But the 2014 Russian invasion of the Crimea dashed Tatars’ hopes of reclaiming their homeland and added another, more immediate chapter to the story and is at the heart of Paschyn’s film. Paschyn spent a month in Crimea in 2012 shooting footage for the film, and interviewed a wide range of subjects, from a Tatar woman who’d been forcibly displaced in the 1940s to the dissident Tatar leader Mustafa Dzhemilev. A Struggle for Home also features interviews with Sergey Aksyonov, who in 2012 was the founder of Russian Unity, a small political party that had received very few votes in regional elections. After the Russian invasion and subsequent annexation of Crimea, however, he became Prime Minister of the region. Since the annexation, Crimean Tatars, an ethnic minority in the mostly Russian Crimea, have faced persecution, including the vandalization and closure of Crimean Tatar houses and sites and the exile of Dzhemilev. “We live in exciting and fast-paced times and journalism now is all about extending the reach of reporting to ensure information is disseminated to as wide a range of people and as large an audience as possible, whether that is via print, video or social media,” she said. The inclusion of the documentary in the festival is yet another accolade for NU-Q’s school of Journalism, which is the only school of its kind in the region, following the recent Pulitzer Center fellowship for one of its graduates. 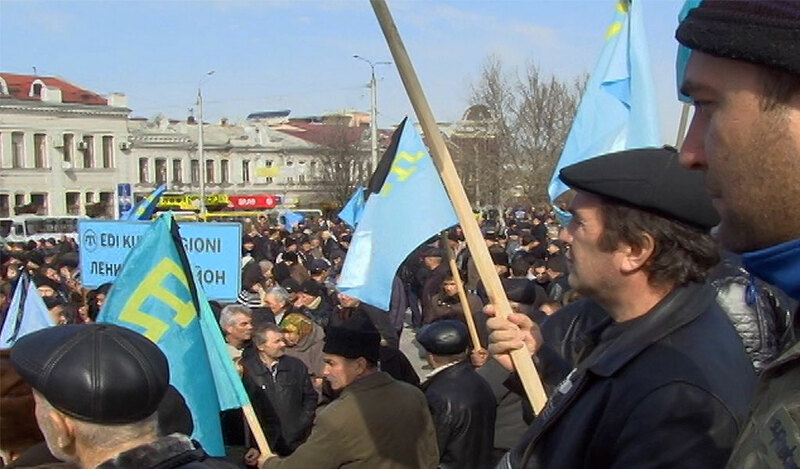 Struggle for Home: The Crimean Tartars had its international premiere on November 27. It was also accepted into Docs for Sale at the prestigious International Documentary Film Festival Amsterdam. For more on A Struggle for Home, visit astruggleforhome.com.